Have you ever looked through your pictures and thought, "If people only knew the real story behind the picture!" I did that recently while going through my computer and thought it would be a fun/interesting/different idea to share them. I can't wait to see how you interpreted this! These can be blog pics, candid pics, whatever you'd like to share. There is no wrong way to do it. The link up is at the bottom. Let's get to the pics! I had to purchase fall clothes when it was still summer--this was a challenge, y'all! Right before I took this pic, I got a text that my friend's mom had passed away. I didn't want to take pictures after that, but I had to. Have you ever had that happen? It was 95 degrees, around 6:30pm--I had just gotten home from work, and raining when I took this. It had been raining for days, so pics in my apartment walkway it was. The power went right after this shot. This came from my Mint Lemonade Sugar Scrub post. This is one of my favorite blog pictures I've ever taken. My pics are the one blog area I've always been the most self-conscious about, so I finally decided to get a fancy camera and do lots of photography tutorials. This made me feel like I was improving. This was taken in 1 shot! I threw everything on some white board on my bed and took the picture. This is from my Instagram. I've talked about it here and there, but I am a nanny to two adorable little girls. This was from my recently-celebrated 5th anniversary of working for this family. We aren't often praised at our jobs or hobbies, so I treasured this moment. It also marked the fifth year of life for the oldest one I take care of. Born with lots of health issues, they celebrated her birthday monthly that very first year. Now, she's super smart and is a happy and healthy 5 year old. Seeing her change from a skinny 9 month old that couldn't sit up to the kid she is now is one of my best accomplishments. She'll never know the tears I shed or the prayers for her, she just knows I'm her friend that plays with her M-F, that makes her laugh with my silly songs I make up, and has been a part of her life for 5 years. And that's just fine with me. I can't wait to see the pic(s) you share! I'll be doing this again next month if you'd like to link up! That scrub pic turned out amazing! I can't believe you did that in one take too! The lighting in your bedroom is perfection! So interesting to read about the stories behind each pic. that lemon scrub picture seriously is amazing, way to go getting it in one shot girl! i laughed at having to buy fall clothes in summer, not to mention how hot it was when you shot it. i'm sorry that you were notified of a friend's parent passing away right before though. i love the story of the child you look after - she sounds amazing! That is so sweet they celebrated the 5 years you've invested with them as they have with you! Your blog pic looks so professionally done - good job! You'll see that picture & always remember that's when your friend's mom passed away. those things stick. Thanks for such a fun link up!!! I think this is such a fun linkup to hear the story behind the photo! I didn't plan well for this one but I'm marking it on my calendar to linkup next month! this is my first linkup, thanks elle! love reading about your stories and can't wait to read others today. I can definitely tell we live in the same complex by that first picture :) let me know if you ever want to get coffee or something! It is so hard finding Fall things in the summer. Such good lighting in the sugar scrub picture. I wish I had better lighting in my house. Glad to know the girl you nanny is thriving and stronger every day. 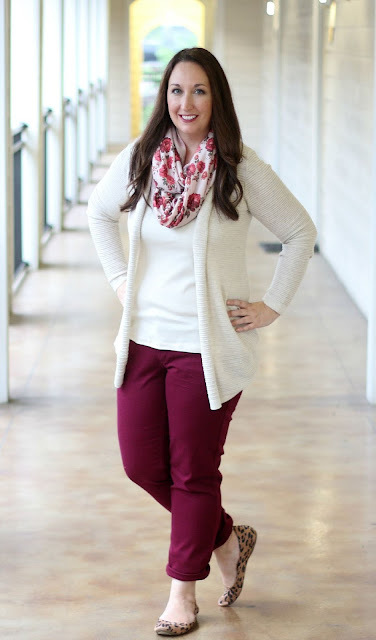 Finding fall clothes in the summer is quite a challenge, even more so having to wear them outside to take a picture! You were probably dying of heat! I love the pictures on your blog, I feel you do a great job with them!!! And how special that you have gotten to spend the last 5 years with that sweet little girl :) Such an amazing/rewarding job experience. ah i love learning about all the backstories behind the photos - what a great idea! that lemon scrub picture is perfection. good work chica! What a fun linkup idea. I always think about the story behind pictures, how many did people take? Was life happy? Were they faking it? I 100% love this post. Aw I love this! That lemon scrub pic is gorgeous and how sweet that you have been a nanny for the same family for 5 years! So glad to hear the 5 year old is thriving after all she has been through! That lemon scrub pic is FANTASTIC! This is such a fun link-up idea, I'm excited to join in next month! Love this series! What's the saying, a picture is worth a thousand words haha! Aw. This is so fun. I enjoyed reading the stories behind the photos. Great idea! This is such a fabulous idea for a post! There are always so many stories behind a picture -- I love the purchasing fall clothes when it's still summer thought! This happens to me all the time! I just read Nadines and I love this post idea!! You look so lovely with your red hues and I adore your stories!!! what a fantastic linkup! will totally be joining next month (or maybe later this week LOL). I love this idea. I can't believe you took the sugar scrub pic on you bed - it looks great! I really like this idea! They say a picture is worth 1000 words and just to hear your stories behind the picture is awesome! I'll have to link up for next month! I love the concept behind this post and really have to remember for next month. That scrub photo came out fantastic and it's awesome you got it in one shot. This is such a great idea. I will surely link up at some point. That Fall outfit is great. Too bad you got such terrible news before that picture. The scrub picture is beautiful and so artistic, you did great! And congratulations on 5 awesome years of babysitting as well as Happy 5th Birthday to that sweet little girl! Awesome idea for a series! This is such a fun idea (it makes me wonder if I could remember as much as you have from the various days on which I took photos). I'm impressed you recalled all these details - and sorry to hear about your friend's mother, that's really sad. You are so nice and caring! Maybe that little five-year-old girl will never know how much you prayed and cried for her, but I'm sure she loves you. She grew up with you by her side and she will not forget you. Have great day! You cannot even tell you just received really sad news right before the shot was taken in the outfit post- you pro! I had a similar situation for a shoot once; got into a huuuuuuge fight with a boyfriend and it was a struggle trying to look happy/content and not angry. Ha. Love this post! Such a great idea. It's so fun to hear the details behind the shot. This was a really great idea for a post and I love the "stories" and how "life" is going on during what looks like the perfectly-timed, 'calm' still shot. I love this idea! And all these stories behind the pictures are great, but that last one just really touched me. What a wonderful thing that she's doing so well now! This is such a neat idea for a post. Oh, wow... that must have been rough if they celebrated her birthday every month the first year. Sounds like she is doing better now, thankfully! That mint lemonade scrub photo is beautiful! I recently got a macro lens for my detail shots and it has changed the quality of my photos greatly! I still need to learn more about my camera, tho... I just need time to do it! It's so funny that you posted this. I just came back from visiting my family, where I sat with my mom and went through boxes of pictures. They were all fascinating and I kept thinking how wonderful it would be to know the story behind each picture. I know it must have been hard in those outfit photos, and I'm so sorry to hear about the loss of your friend's mom. Definitely going to do this next month! I've loved reading everyone's posts! Crazy all the stuff that happened behind the scenes of that fall outfit picture. 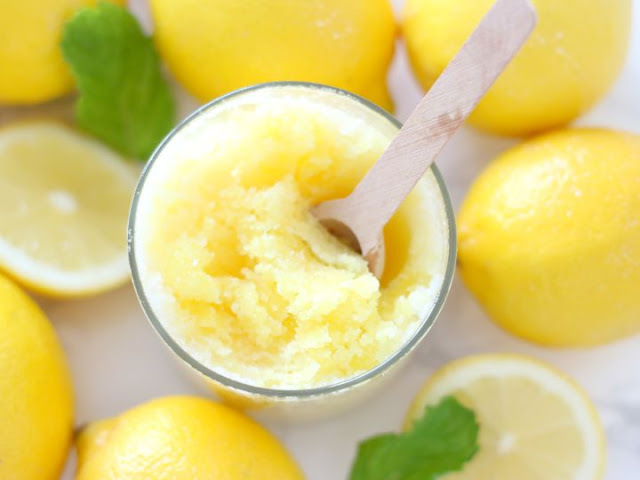 That lemon scrub picture makes me want to make it and use it AND simultaneously sip a mint lemonade. sorry for your loss. I loved reading your behind the pictures. What a fun idea for a series! That scrub snap really turned out great. The sugar scrub in one take? That's amazing. Photography is not my thing, but your pictures are always so good! This is great. 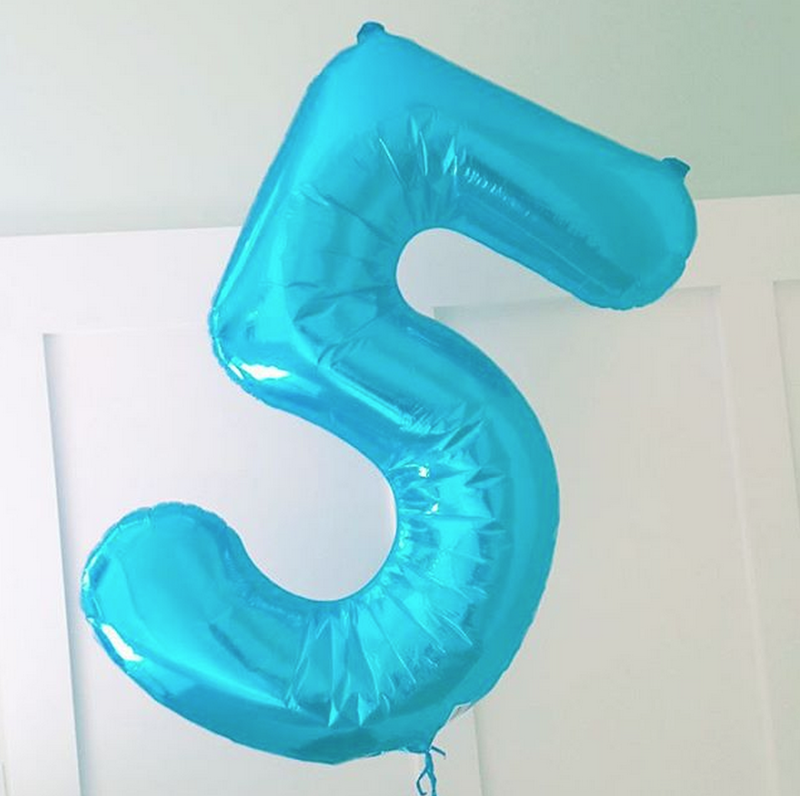 I loved the background story behind your 5 year nanny anniversary. Those two little girls are very lucky to have you in their life! oh my gosh,, i love this idea! so smart/interesting! I really loved this idea, really good! I am sorry for the pics that you had to take/pose after knowing your friend's mom passed away. And the little one at 5 that knows your play with, but don't know the many times you cried and prayed... and you are right, that's fine that way! The important thing is that the little one is fine! I loved this idea of the story behind the pictures! So fun reading about each picture! That sugar scrub picture is amazing! It's so true how much meaning a photo can have. You take amazing photos by the way. You can tell you're standing in an apartment hallway nor that they lemonade scrub photo was taken on your bed! There is so much going on behind your pictures! You would never have guessed that you had just received such sad news in the first photo and you also wouldn't know how much love and work is behind the last one. Thanks for sharing! So interesting to read the stories behind the pictures! Although, getting bad news before a photo shoot is really hard. 95 degrees? LAWD HAVE MERCY!!!!!!!!!!!!!!!!! I love your first picture, by the way! This was so interesting to read! I love how the lemon scrub photo turned out. Can't believe it was only 1 shot! I had to Pin that fall outfit--it's so cute and you look so at ease, I would never have guessed you had so many little life stresses going on that day! And it's amazing that scrub shot turned out so well on the first try. I'll definitely have to link up for this! Thanks for sharing these stories with us, Elle! Stories are the best part of blogging. I love beautiful photos, but I appreciate the blogger creating them even more! What a fantastic idea for a link-up. I will definitely join the fun next month! I loved reading this Elle! The stories behind your pictures were so interesting. I love that mint lemonade sugar scrub picture too and I think you have great photos on your blog! That's something I'd really like to improve--I have a DSLR camera but still feel like I don't really know how to use it well. Yes to buying Fall clothes in Summer and it feeling weird. Love all the different stories behind these photos. You really are ROCKING the photog skills on the blog! I can't believe you were wearing all of that in 95 degree weather! I'm very sorry for your loss, even if it wasn't directly towards you. I know with your dad passing, your friend can look to you to get through this hard time. I love hearing stories behind pictures. This is such a great post series. I hope I can join next time! And I would probably not be too happy to have to wear fall clothes when it's 95 out and take photos, but I get so excited for fall so maybe if enjoy it lol! Ah!!! I forgot about this!! I'm late to the game but I"m going to try and get mine up tomorrow! I loved reading the stories behind the pictures, I felt like it lets your readers know a little bit more about you! Awesome link up idea and awesome post! I love this idea so much! 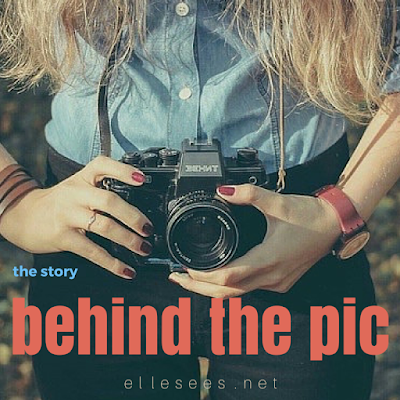 It's so fun reading about the behind the scenes because so much goes into taking a picture and a lot happens before, during, and after you're picture-taking. I know it does for me! I'm sorry your friend's mom passed away.